(Ernie Fields, Jr. Collection, OHS). A "territory band" leader, Ernie Fields made his mark on a touring circuit that stretched between Kansas City, Tulsa, Oklahoma City, and Dallas in the 1930s and 1940s. Born in Nacogdoches, Texas, on August 28, 1904, and raised in Taft, Oklahoma, Fields settled in Tulsa after graduating in 1921 from the Tuskegee Institute in Alabama. He soon began leading The Royal Entertainers, which became one of Tulsa's most popular dance orchestras during the 1920s. Fields initially refused offers to join other bands, believing that touring was an unacceptable lifestyle. Ironically, the Great Depression forced him to take his own band on the road in the early 1930s. The Ernie Fields Orchestra became one of the most popular groups among African Americans in the Southwest. Playing exciting big band jazz at nightclubs and open-air pavilions, the band eventually caught the attention of record producer John Hammond. Under his guidance Fields went to New York in 1939 and recorded "T-Town Blues" for Vocalion, a nationally distributed record label. With this minor hit under his belt he began nationwide tours, culminating in a 1942 engagement in Harlem's legendary Savoy Ballroom. World War II interrupted the band's initial success. 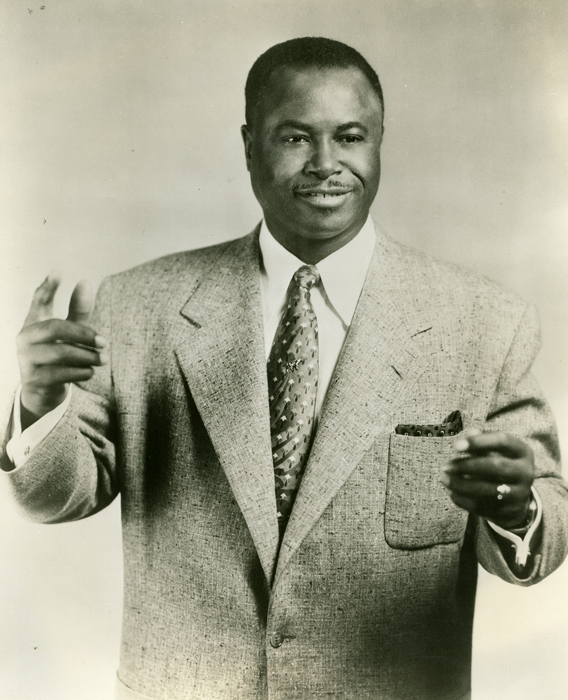 Fields began entertaining troops, playing for more than one hundred camp shows and twelve overseas broadcasts. After the war he kept a scaled-down version of the band together and continued to feature popular Oklahoma City singer Melvin Moore. Although the band regularly packed venues with dancers and teenagers in the Southwest, nationwide success seemed elusive. In 1959 Fields finally earned widespread recognition. His mambo-style version of "In The Mood" shot into the top ten on the Billboard pop charts, and after thirty years in the music business Ernie Fields had a gold record. He retired from the music business in the late 1960s, settling permanently in Tulsa and residing there until his death on May 11, 1997. In 1989 he was inducted in to the Oklahoma Jazz Hall of Fame. His daughter Carmen pursued a successful career in broadcast journalism. Ernie Fields, Jr., followed his father's footsteps into music business and worked as a saxophonist, producer, and talent agent at the end of the twentieth century. David Averill, "Ernie Fields, A Long And Remarkable Life," Tulsa (Oklahoma) World, 18 May 1997. Frank Driggs and Harris Lewine, Black Beauty, White Heat: A Pictorial History of Classic Jazz, 1920–1950 (New York: Da Capo Press, 1996). Michael Laprarie, "Fields, Ernie," The Encyclopedia of Oklahoma History and Culture, https://www.okhistory.org/publications/enc/entry.php?entry=FI003.